This post is being shared with you so you can understand how easy it is to use a fictitious email address when signing up for some sort of web service. Likely this web service may send you one confirmation email and then after that send spam to you, or sell your email address after that one email. You’ll have to use your own judgement whether a web service you are trying to sign-up for is a reputable one. You may wish to use your regular email address with some services so you can receive all of their emails in the future. This post is about signing up for services that you suspect you’ll only ever want to receive the confirmation email from them, and that’s it. The disposable email workaround is to just give the website a made-up email address. 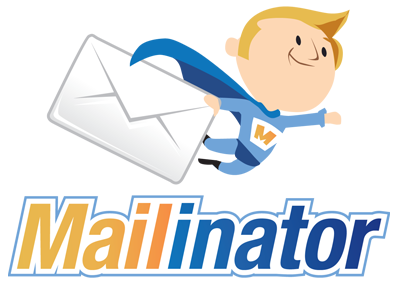 Mailinator works by acting as your inbox for that made up email address. You go check this made-up inbox at Mailinator, read your confirmation email from the website you just gave your fictitious email to (often times having to click a link in that email to confirm you’ve received their message), and never visit your made-up inbox again. Done! Each time I visit the Mailinator website it shows me another email domain choice I can use. You may wonder why you have to use one of Mailinator’s domains (ie. @mailinator2.com, or @letthemeatspam.com). The reason is they have to be in control of receiving the email. You can’t just pick something@abc123.com because Mailinator can not retrieve the messages sent to @abc123.com. It has to be one of their domains. Interestingly in my many years of using Mailinator I’ve only ever run into one snag. One day I went to give a website a made-up email address and they responded with “Please use a real email address.” Hmmm. It seems that this website was savvy to the fact I was giving them a throw-away email address. I guess some companies are aware of services like these and program some domains into their filter list so they won’t accept emails from a certain domain. And that’s why Mailinator has a bunch of domains to choose from. If for some reason you run into a site that rejects your made-up email domain, then simply visit Mailinator again and use another.